I have been meaning to post about my weekend mini-haul but was called to do some work yesterday and asked to do some modelling today (photos soon! ), so I apologise! 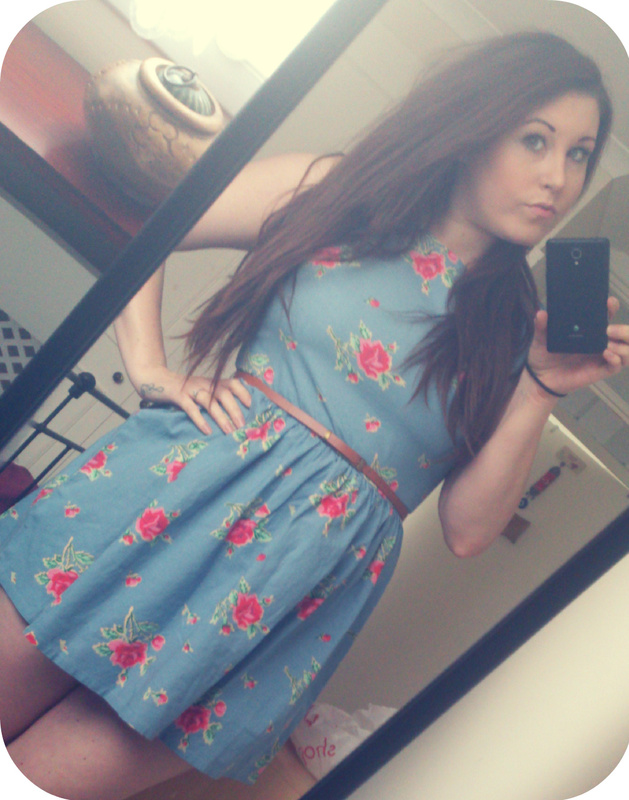 I got this lovely denim Dress! It has a Beautiful Rosebud Pattern and zip fastening on the back! I love the fit and flare feel of the dress and the high neckline is just perfect, giving it a vintage look! There was also a cute brown faux leather belt attached The dress is a little short but in the warmer summer months it will be the perfect outfit to keep cool and stylish! 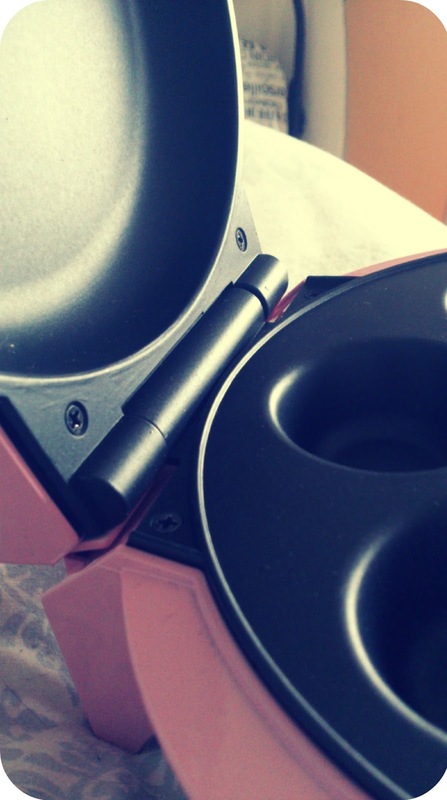 It was such a steal - I couldn't believe my eyes and had to buy it for just £10! 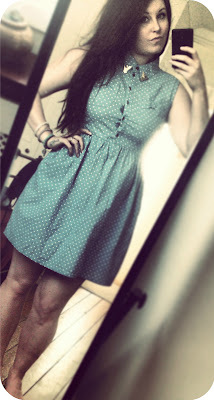 I also picked up another cute denim dress - again at just £10!! Bargain! This one has a cute polka dot pattern and front button fastening! I added some collar clips to give a country vintage look and it is just adorable! I wore it with some frilled ankle socks & paired with vans and it was lovely! It will also be just lovely with a pair of sandals in the summer time! 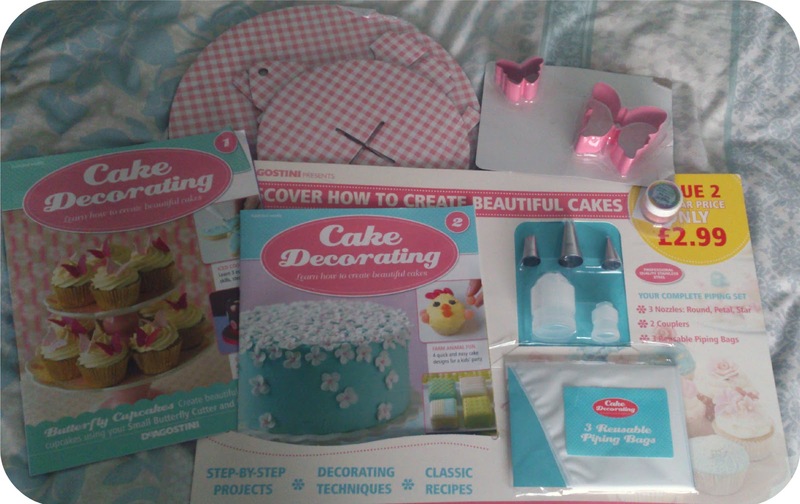 'Cake Decorating' Magazine is issued weekly and is perfect for people like me who love to bake but have no qualifications or training! I have been so busy that I haven't even been able to open the gifts that came with issue 1 yet! But I have a free day tomorrow so will be trying them out for sure! 'Soap & Glory - Scrub 'Em and Leave 'Em'! 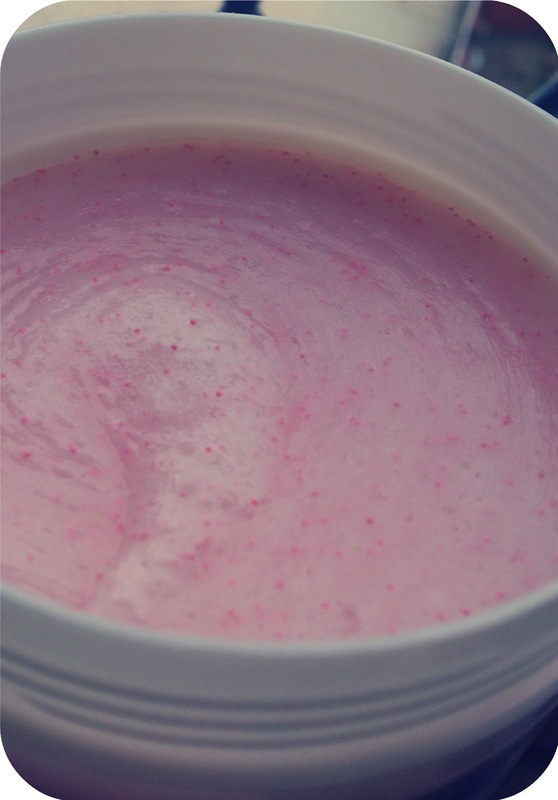 A wonderfully fragranced, course body scrub that leaves the skin smooth and glowing to perfection! 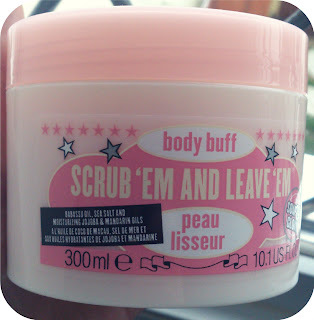 I love Soap and Glory products but usually only buy them as a mega treat, as they aren't the cheapest! So when I found this for just £2 I was over the moon! It doesnt sound too cheap for a car bootsale but this was brand new, never used and is usually a little out of my price range, so I was happy! 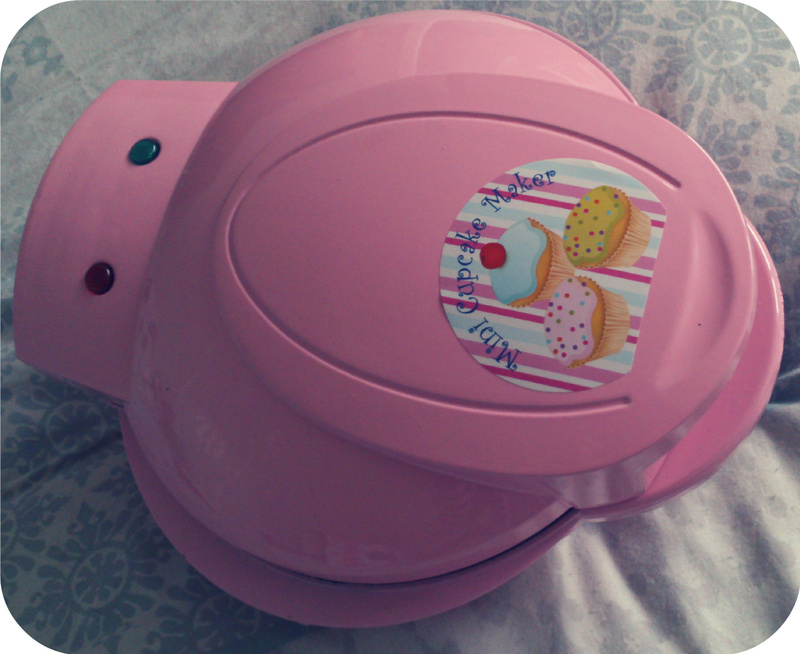 It is a mini cupcake maker, which bakes 7 cakes at a time! I was so excited when I spotted this as I have wanted one for a while but just hadn't got round to buying one! I have started learning how to make cake pops recently so this will be perfect and I can even use it to make mini donuts! I was speechless when the lady said she was selling it for £1 ... yes £1! I couldn't believe it either (and still cant!). I was told it was a Christmas preset that had never been used but was being sold so cheaply as it did not come with instructions - I easily found these on the internet anyway! I am so excited to use it tomorrow (I finally have a free day!) with my 'cake decorating' magazine supplies - I think they will turn out beautifully as the cakes will all be the exact same size and will look all pretty with a little instruction from my lovely new magazine! I am also going to be planning my Easter treat table tomorrow, so recipes and pictures will be up very soon!
. Get up Early! - If you don't get up to the car boot sale a little early (8:30am latest) then don't expect to find many bargains! You have to commit if you want those deals!
. Ask Ask Ask! - you may only be paying a pound or 2 for an item but that doesn't mean it should be complete rubbish, just ask a couple of questions 'why are you selling?' or 'How old is it? ', after all, if you don't ask, you wont know!
. Don't be afraid to haggle a little! - lets be honest, you are at a car boot sale, people are here because they want to get rid of what they are selling. I'm not saying you should take the mickey and offer them 20p for something they are asking £5 for, but if you are interested in it (and have asked a few questions) and don't think its quite worth the price they are asking for, make an offer you think is! After all, the worst thing they could say is no!
. Most of all have fun and really get in there! You aren't going to see items if you just breeze past each table!